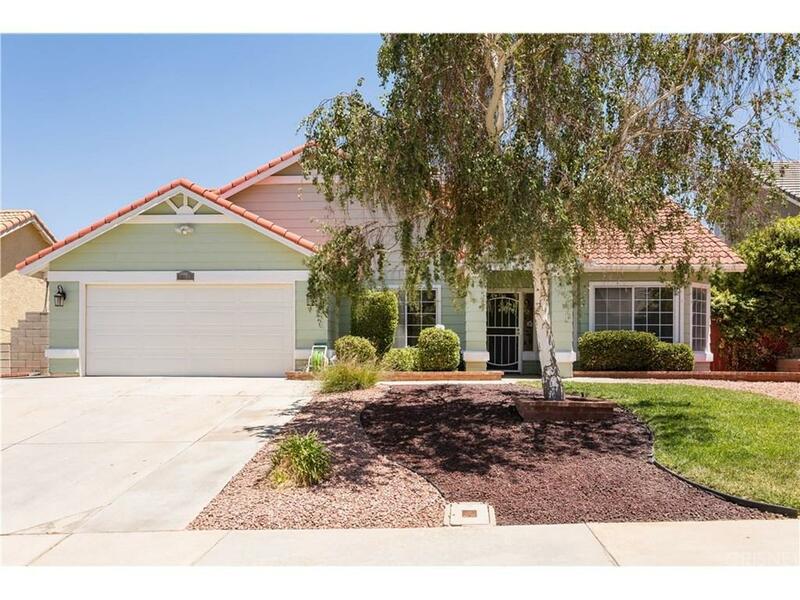 ***Fantastic Single-Story Home on a Cozy Tree-Lined Street*** This West Palmdale Home features an open floor plan and vaulted ceilings. Other features include but are not limited to; Upgraded floors, Upgraded kitchen, Master Bedroom with Vaulted ceiling, ceiling fan, slider to backyard and beautifully upgraded Master bathroom with dual sinks. Laundry hookup inside, Fireplace in the family room. There are ceiling fans in many rooms of the home. Beautiful landscaped backyard with patio, grass and a storage shed. RV parking. This spacious backyard is large enough for you to create your own private oasis. Close to shopping, dining and public transportation. Sold by Kirt Watts BRE#01925419 of Bankers Realty Exclusive, Inc.. Listing provided courtesy of Kathleen Bruno DRE#01925419 of Century 21 Troop Real Estate.